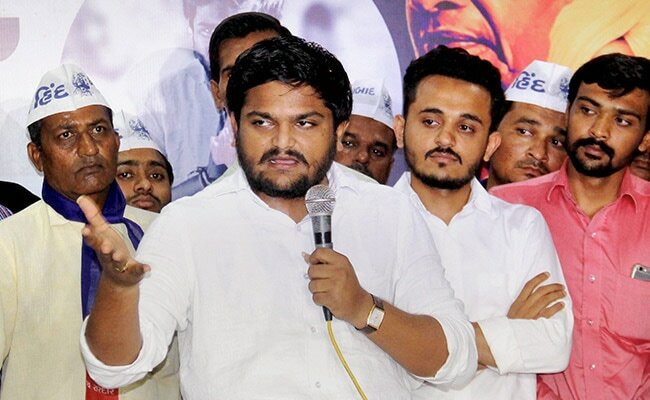 Mumbai: Hardik Patel, the 24-year-old face of the Patidar campaign in Gujarat, said he did not consider Congress president Rahul Gandhi "my leader", adding that he favoured the entry of Mr Gandhi's sister Priyanka Vadra in politics. "I like Rahul Gandhi at a personal level, but I do not consider him as a leader because he is not my leader," Mr Patel said at an event in Mumbai on Friday. He went on to say that Priyanka Gandhi Vadra should join active politics. The Patidar Anamat Andolan Samiti (PAAS) leader also announced that he would not contest next year's Lok Sabha election, despite attaining the eligibility age of 25 years. "I have decided not to contest the election next year. I will be able to contest elections and no one can stop me from doing so. However, I think it is more important to feel the pulse of the people, whom I would represent in the Assembly or Parliament," he said. Owing to the age limitation, 24-year-old Patel could not contest the Gujarat Assembly election. Mr Patel, who has been agitating for reservation for the Patidar community of Gujarat, had worked closely with the Congress during the Assembly polls held in the state in December last year. Mr Patel, who had campaigned through the state against the BJP, is widely seen to have contributed to this BJP's truncated victory. And he hadn't shied from taking credit. "I still won seats for the Congress. Their vote share went from 33 to 43 per cent... that is because of me," he had told NDTV. Replying to another query, Mr Patel admitted that he had a girlfriend and that he would be marrying her.